The full vote recount was done by a consortium of journalists and determined that Bush actually won. AP: A vote-by-vote review of untallied ballots in the 2000 Florida presidential election indicates George W. Bush would have narrowly prevailed in the partial recounts sought by Al Gore, but Gore might have reversed the outcome – by the barest of margins – had he pursued and gained a complete statewide recount. Palm Beach Post: Al Gore was doomed. He couldn’t have caught George W. Bush even if his two best chances for an official recount had played out. USA Today: George W. Bush would have won a hand recount of all disputed ballots in Florida’s presidential election if the most widely accepted standard for judging votes had been applied. The newspaper said that Gore might have won narrowly if lenient standards were used that counted every mark on a ballot. "But," it said, "Gore could not have won without a hand count of overvote ballots, something that he did not request." Yes. Every day that you post dribble claiming the GOP is responsible for jobs moving to China, when you know damn good and well that the Democrats you voted for enacted NAFTA and gave them permanent MFN status, a little bit of fraud is perpetrated on some voters. AP: A vote-by-vote review of untallied ballots in the 2000 Florida presidential election indicates George W. Bush would have narrowly prevailed in the partial recounts sought by Al Gore, but Gore might have reversed the outcome  by the barest of margins  had he pursued and gained a complete statewide recount. He couldnt have caught George W. Bush even if his two best chances for an official recount had played out. USA Today: George W. Bush would have won a hand recount of all disputed ballots in Floridas presidential election if the most widely accepted standard for judging votes had been applied. Shhhh. Don't confuse Blue Doggy with facts - he is immune to the truth, and will continue to post falsehoods and pretend he doesn't know better. Since any and everyone can post a yootoob video of ANYTHING, why have we not seen something about this posted ? We've seen abortion providers offering butchered infant parts for sale & what-not, we've seen muslims cutting heads off & shooting people, all kinds of other crazy crap ..why not this ? You don't expect the New York Times to publish this do you? It doesn't fit their agenda. I certainly hope they would never stoop to publish stuff like this I don't even need to view the link to know that it is trash. There you go, stick your head in the sand. No wonder you are so ignorant of the world around you. Last edited by OldmanDan; 10-12-2016, 01:55 PM. 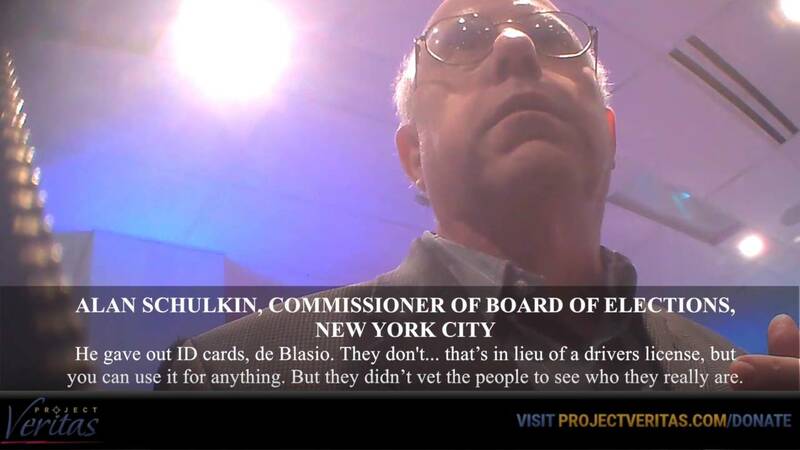 This was a Democrat Commissioner of the board of elections in New York saying these things, not me. I just posted a video of him making these allegations. Iknow that it is extremely rare but there are some democrats who are idiots. In this age of technology it should be easy to video a guy voting then follow the bus and video him voting again at the next site. Do that and until then let you have something to work with. until then shall we let blck people vote? Last edited by OldmanDan; 10-12-2016, 07:15 PM. Your average GOPer cannot follow around a bus full of black people and identify which ones voted previously at the last polling station. This story was quoting a Democrat Election Official. But I'm sure the facts don't mean much to a partisan.